People in modern society use mobile phones as their primary way to retrieve information and to connect with others across the globe. The kinds of connections these devices support give rise to networks at many levels, from those among devices connected by near-field radio or bluetooth, to society-wide networks of phone calls made between individuals. 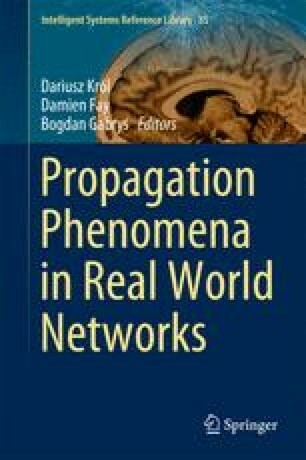 This chapter introduces state-of-the-art propagation models that have been applied to understand such networks. It discusses how the models are used in many innovative studies, including how short-lived information spreads between phone callers, how malware spreads within public places, how to detect fraudulent and scamming activity on a phone network, and to predict the propensity of a user to unsubscribe from a mobile phone carrier. It concludes with a discussion of future research opportunities for the study of propagation modeling to mobile phone data analytics.